Own a Toyota? 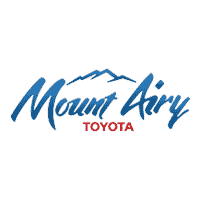 Your vehicle will receive proper care by trained Mount Airy Toyota technicians using Genuine Toyota Parts. At Mount Airy Toyota, we’re all about safety. We want to ensure our customers have the safest vehicles on the road, and that they know how to keep their cars safe. There are some little things that drivers can do that can make a big difference when driving on any kind of road and in any kind of conditions.So it sounds obvious, but good visibility is essential for driving safely. And as drivers, we often times jump in our car and assume that our windshield will always be clean. However, a dirty or cracked windshield can cause a blind spot, and so can messy weather. So when it comes to visibility in any weather, being able to keep your windshield clean at all times is important. But when it comes to inclement weather, a good set of wiper blades can be as important as the use of safety belts. If you can’t see…you are putting yourself and your passengers in danger. All wipers may look alike, but they may not all fit or work alike. 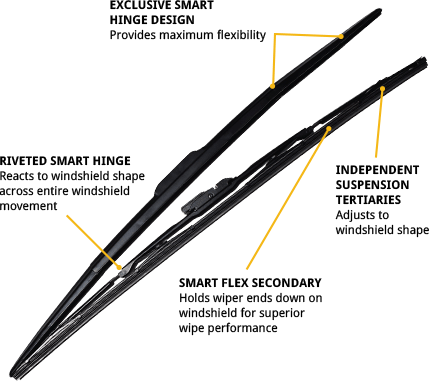 Toyota Genuine wiper blades feature heavy duty blade construction and are designed specifically for your Toyota so they’ll fit properly. But how do you know when to change out your wipers? There are a couple things to look for: Since all wipers are made of rubber, the will naturally begin to wear out after a few months of use. As the rubber ages, it will harden and start to crack. Wipers should have a rubbery look and feel to them. So if you find your wipers getting stiff and making noise, it is time to replace them. Also look for wipers that leave a streak or streaks of water across the windshield as they move. This is a sure sign that they are not doing their job which is to clear the viewing area so the driver can see. This also tells you that the rubber on the wiper has lost its grip and it is time to change them out. Here at Mount Airy Toyota, we’d be glad to help you understand if your wiper blades need to be changed. We can do it for you or you can buy the parts and do it yourself. To find out the size blades you need, measure the old rubber blades and stop into our Parts Department. If you don’t have the size information, we can look it up for you. Stop in to learn more about the Mount Airy Advantage, Smart Car Buying from Nice People. Find Wiper Blade Coupons Here!